Sky has launched its new premium service Sky Q, available from today online or over the phone and from Friday at Sky's retail outlets. The first installations will follow at the end of the month. 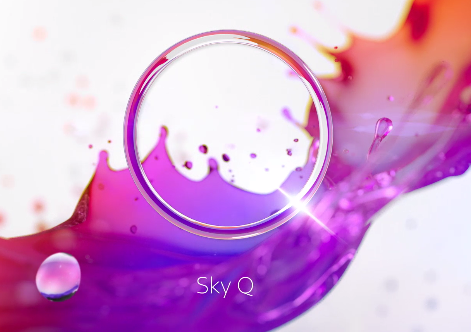 Sky Q customers will get a full professional installation as part of the set-up cost to ensure they benefit from all the great features of Fluid Viewing. Customers can choose from two new bundles – the Sky Q Silver Bundle or the Sky Q Bundle. The typical monthly cost for existing Sky+ customers will only be around an extra £12 compared with their current Sky+ package. For new customers joining Sky, the ongoing monthly cost for Sky Q will start from just £42. A set-up fee from £99 applies. The launch of Sky Q will be supported by Sky’s "biggest and most ambitious advertising campaign ever", which starts nationwide from Friday 12 February with key spots including within ITV's Mr. Selfridge. All customers who already have Sky Broadband or who purchase Sky Broadband when buying Sky Q will also receive the brand new Sky Q Hub that turns Sky Q boxes into Wi-Fi hotspots, giving a supercharged Sky Broadband experience with the strongest and best coverage throughout the home. Sky Q installations will be phased with Sky Broadband customers receiving the product first, before very soon opening up to those with other broadband providers. Not while you're expected to pay stupid money for a box you will not own and not while Sky are still keeping secrets surrounding the LNB and if there is a function that will support 'legacy' equipment or not! Not to mention the added costs for nothing. Happy with my 2TB +HD box, it does more than enough for me, SkyQ is a gimmick and nowt more!